Technology impacts retail in ways we could have never imagined. As this trend continues to grow, shift and develop, new concepts emerge and move through testing, weeding out amazing ideas from those that merely look good on paper. Scot Wingo, Co-Founder and Executive Chairman of ChannelAdvisor and CEO of Get Spiffy, Inc., and Jason “Retail Geek” Goldberg, Chief Commerce Strategy Officer of Publicis, recently considered the power of social influence in their presentation at ICSC’s 2019 OAC Summit in Austin, TX. Scot and Jason claim that all sales will soon be digitally influenced and social proof lives at the top of the decision tree. Simply put, more product reviews lead to more purchases. Nothing better demonstrates the selling power of social proof than the Amazon 4-Star store concept. The trend of once online-only retailers moving into brick and mortar is surging. Amazon has helped lead the way. They’ve experimented with Amazon Go, stores with advanced shopping technology and no checkout process needed, as well as kiosks called Amazon Pop-Ups. But the Amazon 4-Star store is different. It’s solely built on the viability of social proof as a way of deciding which products are the best. Amazon 4-Star stores opened first in California, Colorado and New York City. This “longer-term real estate deal” (vs. short-term kiosks) furthers Amazon’s growing commitment to brick-and-mortar retail. Amazon 4-Star stocks its shelves based on what’s trending online. 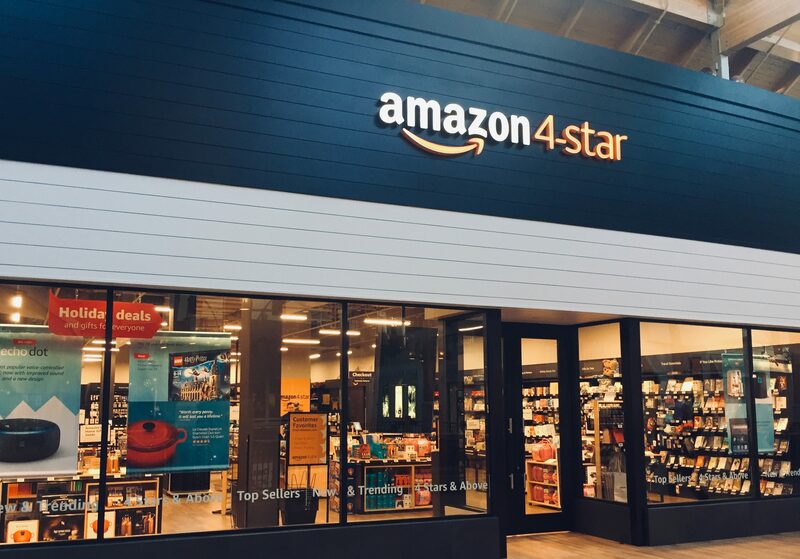 The website claims, “We’ve used customer ratings, reviews and sales data from the hundreds of millions of products online to curate our store.” Amazon 4-Star rotates inventory weekly as different products become more or less popular on the ubiquitous website. Customers in the 4,000-square foot NYC store can browse sections they identify with from the website, like “Frequently Bought Together” or “Most Wished For,” even “Trending in NYC.” Shoppers can test drive Amazon devices and smart home accessories that work with Alexa. Amazon’s private labels, like Amazon Basics, are also on display. Online Environment in Physical Store? Does It Work? Amazon 4-Star sounds unique and compelling, right? Well, not everyone agrees. The article claims smaller, online retailers, like UntuckIt, Bonobos and Jack Erwin, are getting the transition from online to physical store right, and perhaps Amazon has something to learn from these models. Yet another Forbes article warns us to be warry of the “reputation inflation” and fake reviews (which basically inform Amazon’s 4-Star stock) that often plague these systems. The Proof Is in the Social? Even with these considerations, the Amazon 4-Star store bears out Jon and Scot’s claims that sales are digitally-influenced, with social proof (a/k/a customer ratings and reviews) driving consumers’ decisions. While Amazon may need to take cues from its smaller competitors to “bring the advantages of a physical store to an online brand,” there is no doubt this dominating online retailer will keep innovating until it figures out the magic of a successful brick-and-mortar store.